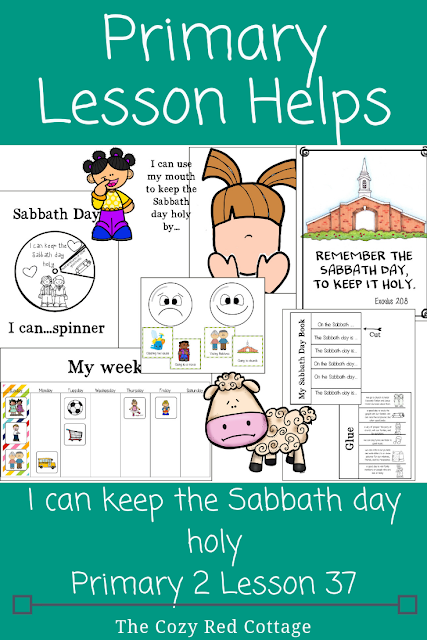 Here are some free lesson helps to go along with Lesson 37, I can keep the Sabbath day holy. You can find the lesson here.I had so much fun creating a this pack and hope you find something helpful for your class. This would also be great for FHE-pick and choose an activity or 2 for your lesson. Attention activity: Calendar and calendar cards. 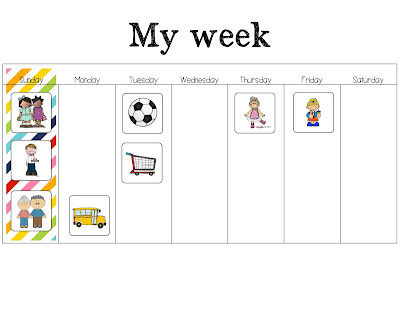 Explain what a calendar is and ask them what they did during the week. The older classes may be able to tell you the day they did the activity as well. 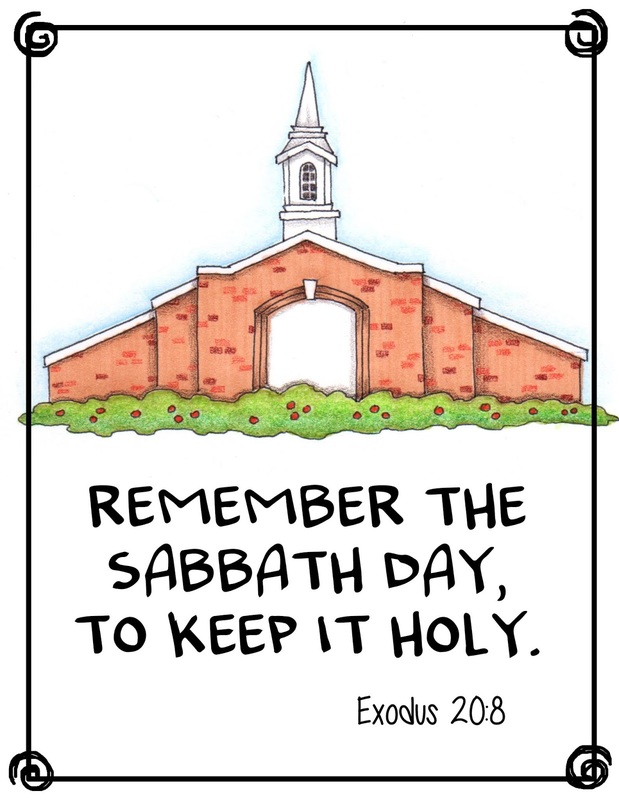 I included 12 activity cards for the week and 6 for the sabbath day. As they tell you the activity tape it to your calendar. If its an activity like school place it on Monday and draw a line across. If there is not a card for the activity draw directly on the calendar or if your art skills are as awesome as mine you can always write it. Finish with Sunday activities. This will help lead you into the next questions, discussion section, and activities. 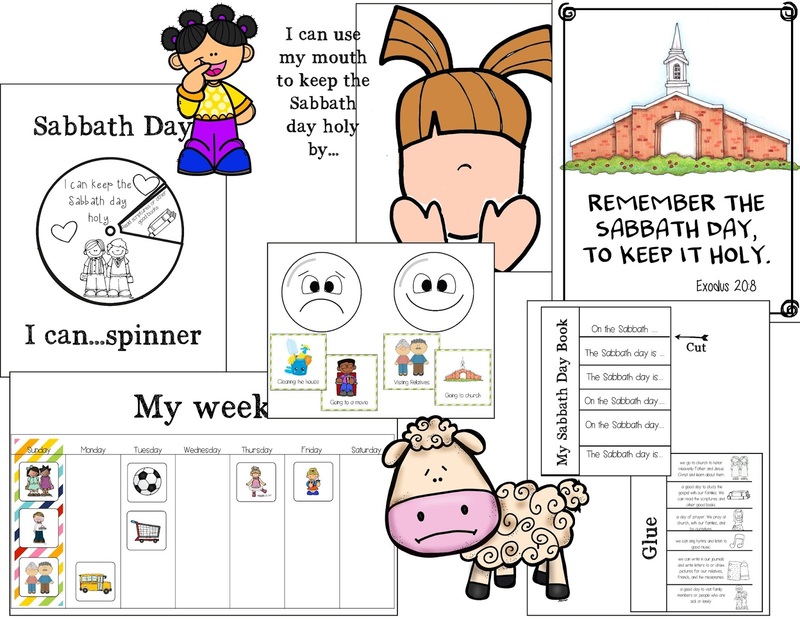 Scripture poster (goes with scripture and word strips): Display through out class or cut into puzzle pieces and have your class put it together. Read out loud. 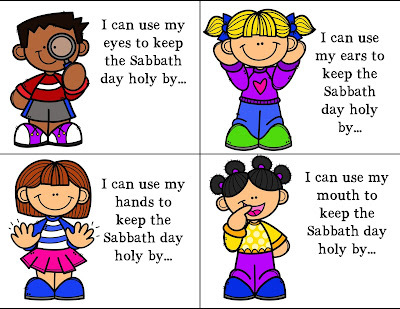 this can also be used for enrichment activity #3 (help the children memorize the verse). 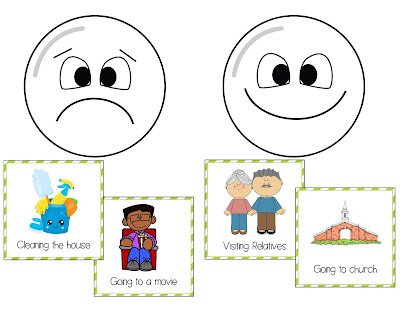 Activity: Cut out the happy and sad face and the cards on the next page (these come from the manual). Place the cards in a bag and display the faces. 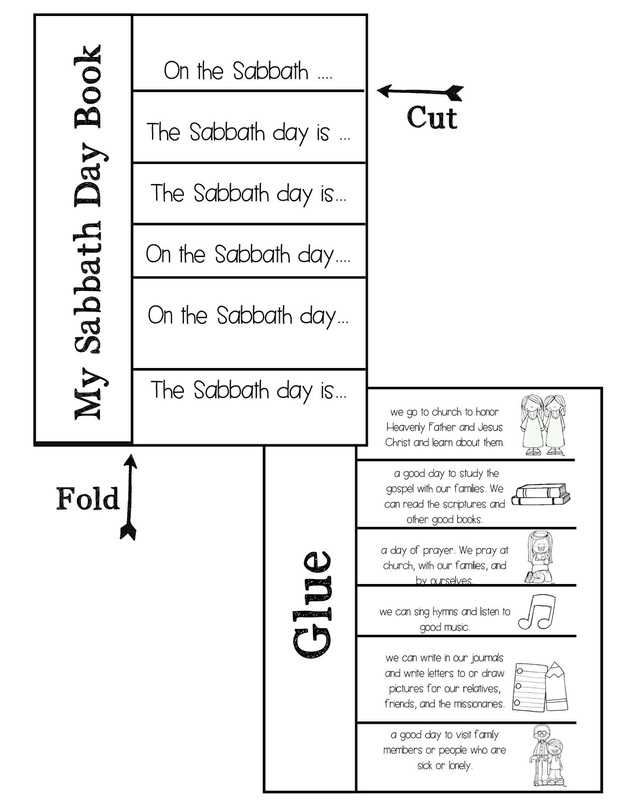 Take turns drawing a card and decide if the activity is something we should or should not do on the sabbath. Scripture Story: Before class print and cut out sheep and the scripture. 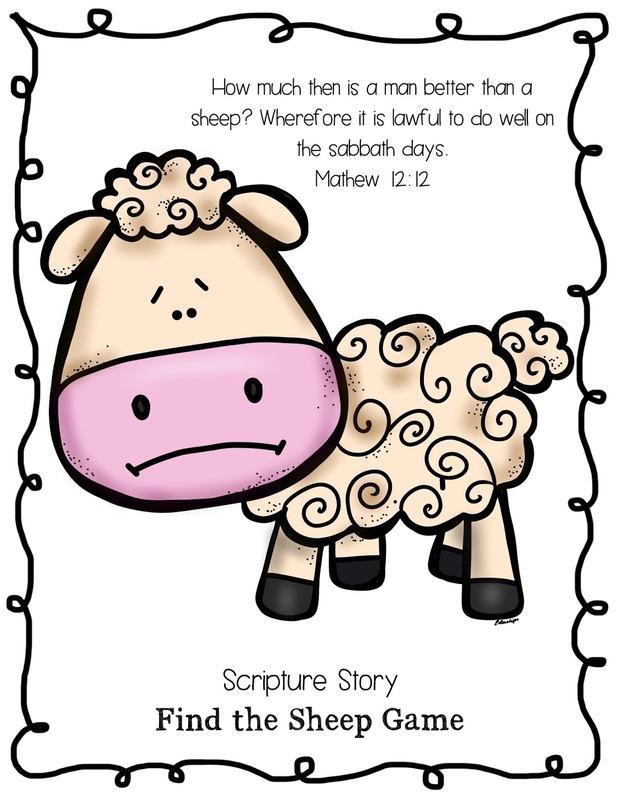 Glue the scripture to the back of the sheep. 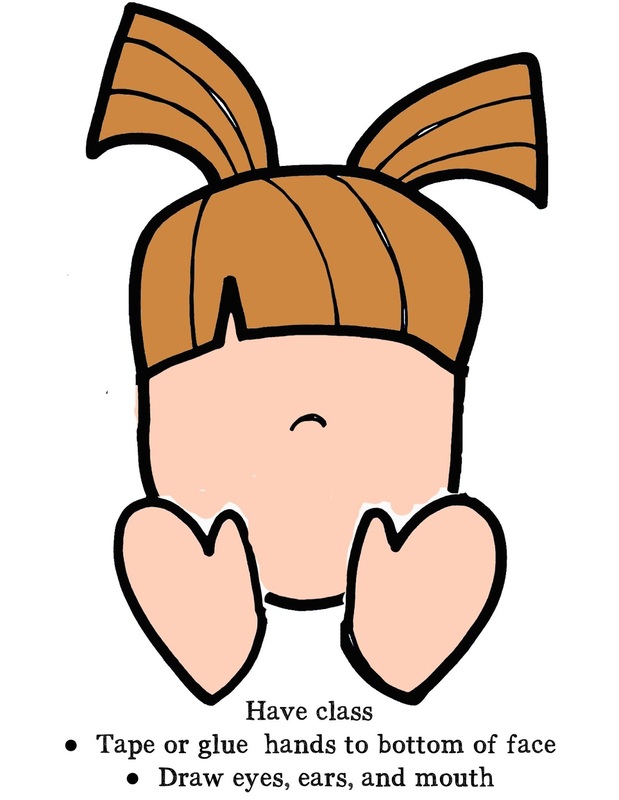 Hide it somewhere in your class room. 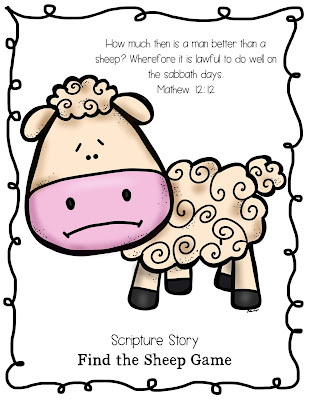 When it comes time to read the scripture have the kids search for the sheep. Once found read the scripture. You can also play a few rounds of hot and cold and let them take turns hiding and finding the sheep. 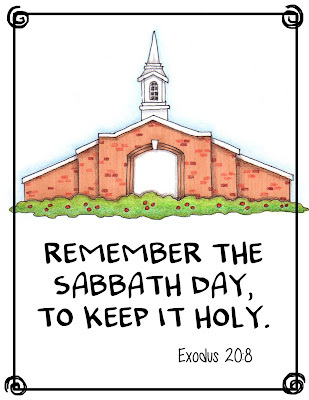 Sabbath Day book: I could not get the book from the manual to open...anyone else have this problem? So I created an interactive page. Print the two pages for each child. 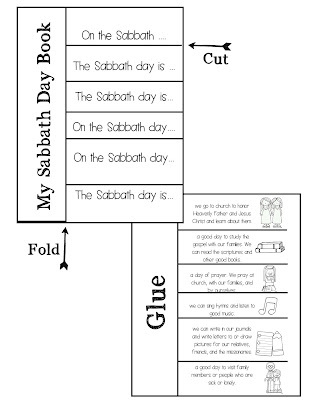 On the first page (the one that says my Sabbath book) you are going to cut along the lines going horizontal and fold the line going vertical. Glue the title area to the second page where it says glue :) Let the kids color the pictures. 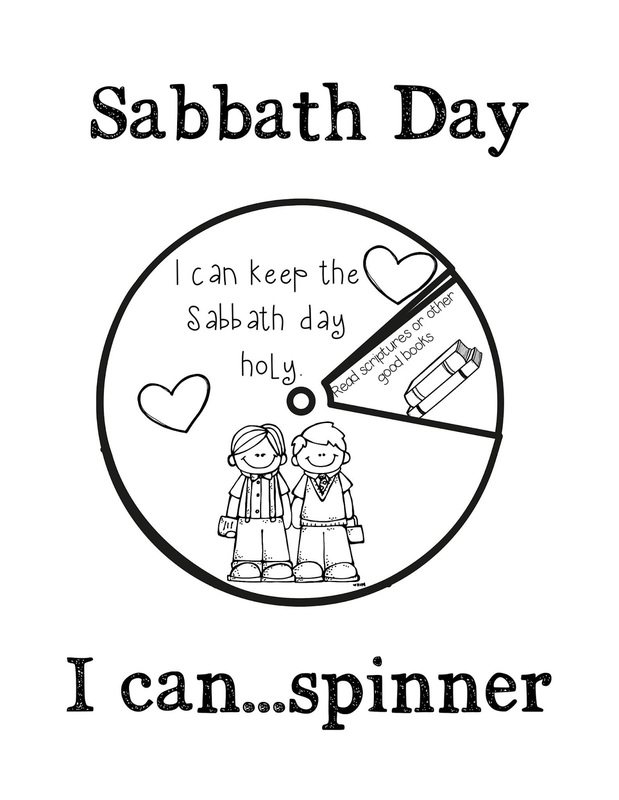 Bonus Activity: Sabbath day I can...spinners. 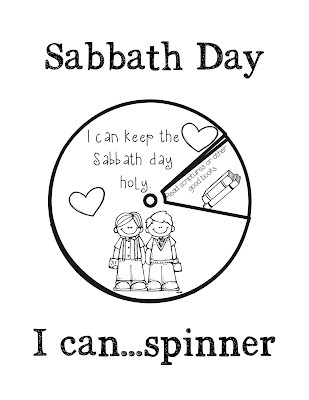 Its a cute and fun way to remember some of the fun things we CAN do on the Sabbath. Print 1 page per child (cardstock recommended but not required). Cut out both circles. Have the kids color and use a brad to connect in the center. 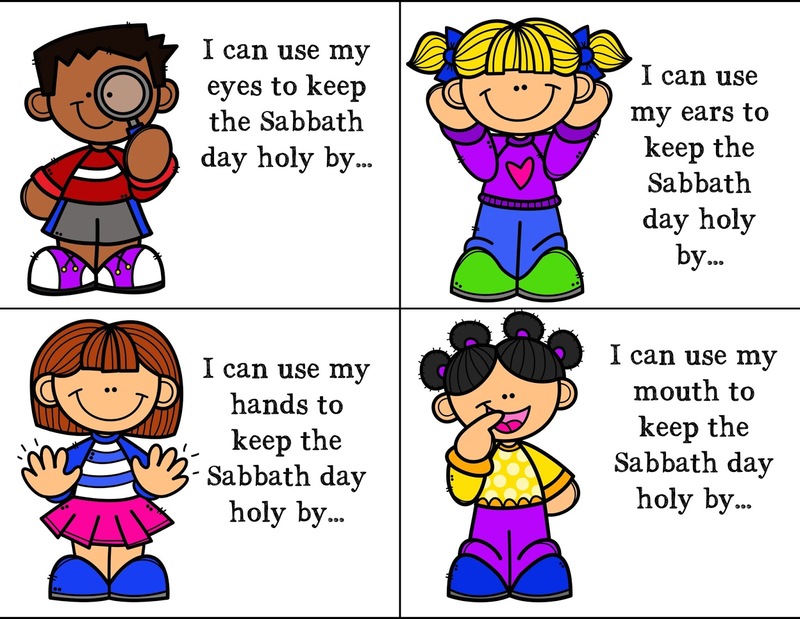 Turn to find a fun idea to do on the Sabbath. Boy and Girl option. This is fantastic!!!! Thank you so much for your help!. I am so happy I found your page!